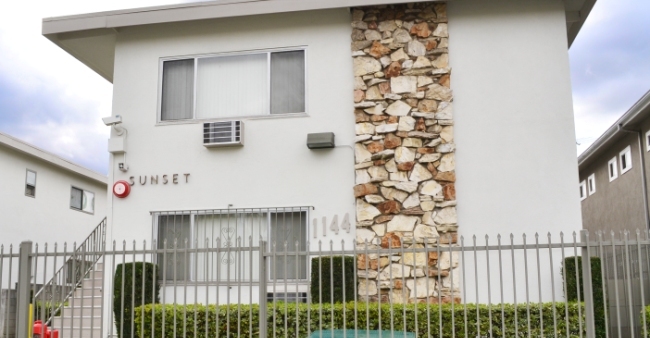 Sunset provides married students and families the option of living in a smaller, quieter two-story apartment building adjacent to two other USC family housing facilities, Regent and Bel-Air. The one-bedroom apartments are ideal for married couples and have living room air-conditioners, updated kitchens and bathrooms as well as new flooring and furniture. 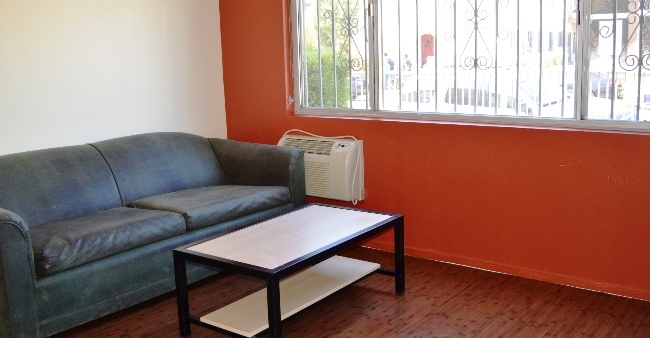 All of the family apartments are furnished with full extra long beds. 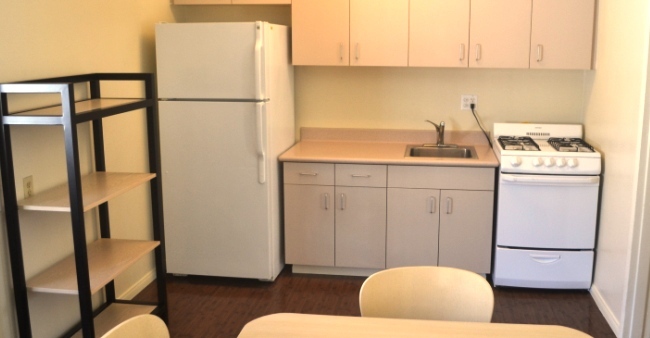 The building’s bachelor units are reserved for single graduate students, and while they do not have a kitchen, they do come with a micro-fridge (a combination of a small microwave oven and a mini-refrigerator). 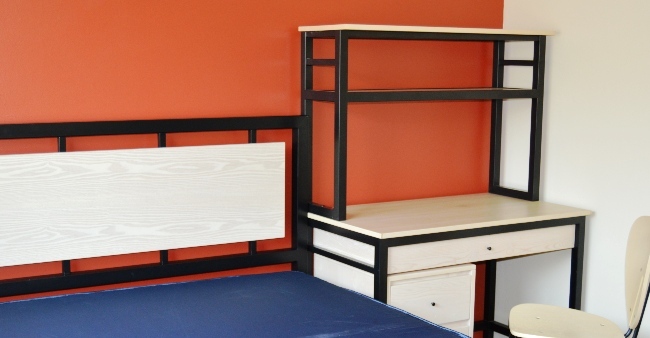 These smaller bachelor apartments have twin extra-long beds. Sunset is located a block north of the USC Village complex and a short five to ten minute walk to campus and the USC Village. For the 2019-2020 school year, residents of Sunset will have an a Full Year, 12 month, contract from early August to late July. Sunset will be closed for required renovations during the summer of 2019. Contracts will end on May 9, 2019 and all residents will need to move out by that date. 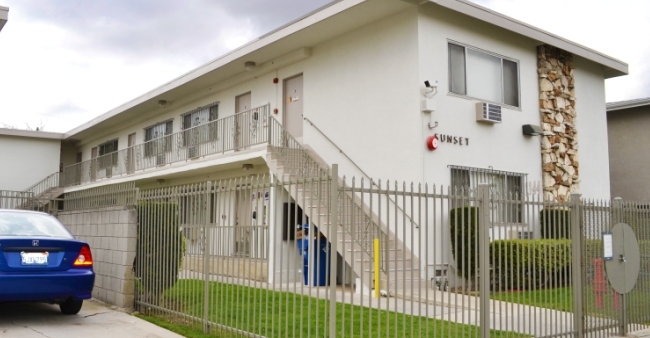 The building will be undergoing structural and cosmetic upgrades during the summer of 2019 and will reopen with unique features tailored to the needs of family housing residents. The USC bus stops next door at Regent, so it's easy to get to campus. Parking, while limited, is available, with permitting handled by USC Transportation.